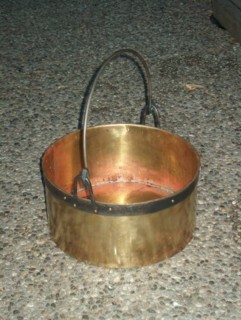 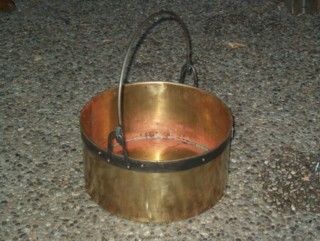 One piece of brass forms the side of the cauldron, which is rivetted into a ring. 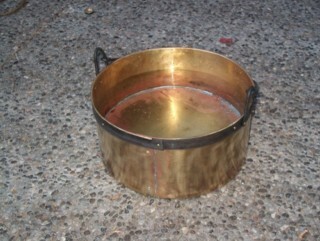 The bottom edge of this is cut into small tabs, which are folded under to support the bottom. 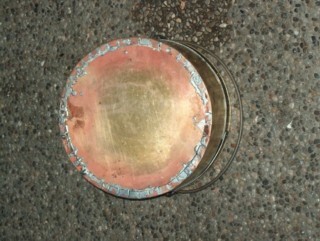 The bottom disk is then soldered to these tabs to seal the pot. 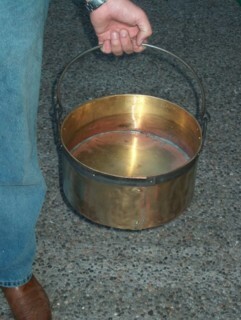 a steel rim is rivetted around the top lip, and the 2 loops that support the handle are rivetted into the rim.